Today’s blog article has kindly been provided by Fellows and Associates Ltd and is a more in-depth review of an excerpt from their 6th annual Salary Survey that has recently been published. The article focuses on the final part of their report that looks at discrimination within the workplace. Fellows and Associates are one of our Charter signatories. Michele Fellows writes: Every year, Fellows and Associates compile a salary survey of the Intellectual Property profession. We continually look to improve on it based on feedback and changes within the market place and this year, in support of IP Inclusive, we were particularly excited to take a closer look at discrimination within the workplace. We know that many firms have signed up to the IP Inclusive initiative and times have changed recently (although never as much as we would like) and as such we asked our respondents to focus solely on their experience within the last two years. 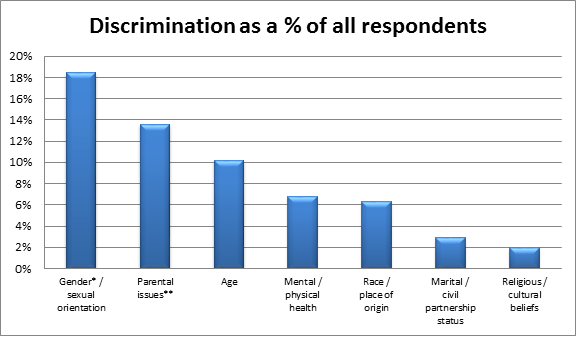 To put this into perspective, 88 of the 206 people who completed the survey had experienced discrimination of some sort. Of these 88 people, 67% had encountered discrimination of more than one type either directed at themselves or at someone else. This issue is definitely not exclusive to the UK, with both the UK and international contributors achieving almost the same ratio of those that had been discriminated against versus those that had not. ​Respondents were able to indicate the type of issue for which they had experienced disfavour with discrimination on the grounds of gender (including gender reassignment) or sexual orientation topping the list at 18% of all those surveyed. ​We also wanted to know whether such discrimination was directly experienced or observed being visited upon another. 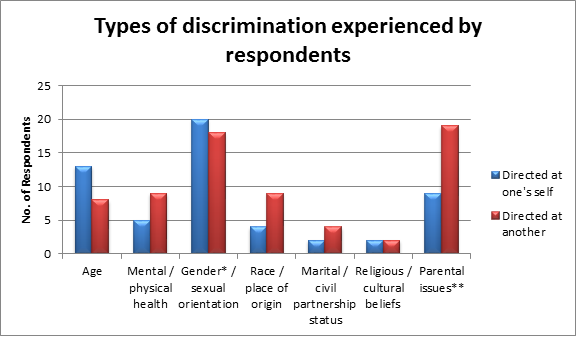 It was interesting to note that, overall, 56% of participants have seen discrimination directed at another whereas only 44% had experienced it themselves. 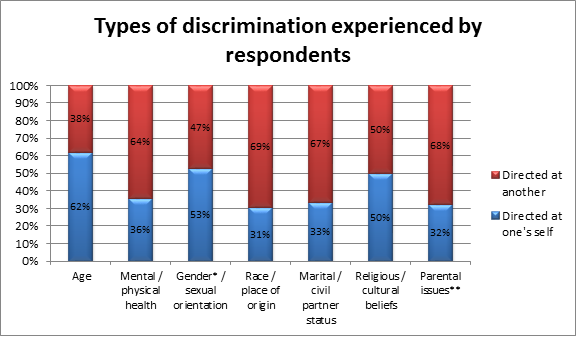 Is this reality, or perhaps, even with the anonymity the survey affords, did respondents not feel comfortable enough to admit personally suffering discrimination? The data presented has made for compelling reading, perhaps shining a light on the fact that discrimination does still exist and, sadly, to quite a high degree. It is with intrigue that we wait to see how firms engage with their employees in the future as they seek (we hope) to become more inclusive and accepting within the IP community. The full salary survey can be found here. If you have any comments or would like to know more about the survey results, please get in touch with me. Thank you Michelle, and Fellows & Associates more generally, for including these questions in your annual survey, and for sharing the results with us.